PM Netanyahu's office contradicts former Shabak head Yoram Cohen's claim about the provision of security details for Netanyahu's sons. The Prime Minister's Office on Thursday afternoon responded to former Shabak (Israel Security Agency) head Yoram Cohen's claim that he had previously recommended not to attach a security detail to Israeli Prime Minister Binyamin Netanyahu's sons Yair and Avner. Earlier on Thursday, Cohen said that during his time, Shabak's "opinion was that it is not necessary to secure Netanyahu's sons on a regular basis. This opinion was not accepted." "Cohen warned the Prime Minister about the need to provide security for Netanyahu's sons just after 2014's Operation Protective Edge," a spokesperson for Netanyahu's office said. 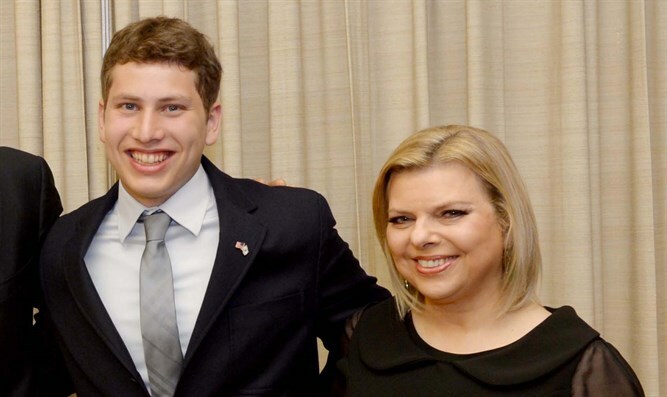 "Cohen even asked us to examine moving Yair Netanyahu's studies from Hebrew University to somewhere else, even though he had security, because in his estimation the security was not enough to protect from the renewed threats." The Prime Minister's office also emphasized that security for Netanyahu's sons, like security for others, is decided upon by a committee of ministers. A public committee headed by former Foreign Ministry Director General Yosef Ciechanover also helps decide on Netanyahu's sons' security needs, examining the threats and receiving periodic updates about the security situation and the threats creating the need to secure Netanyahu's sons.